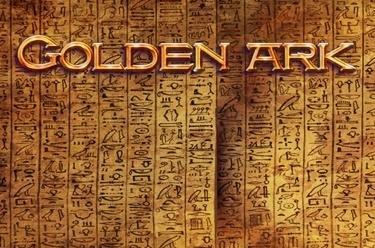 Play Golden Ark online for free now! The heroine of our slot Golden Ark isn't just beautiful she is also very smart! Only she knows where the great treasure of the Pharaohs in ancient Egypt is buried! So stay hot on her heels and follow her to the land of deserts. If you're lucky you and her will discover the Eye of Horus somewhere in the secret corridors of the mighty pyramids, which will show you the way to great riches! 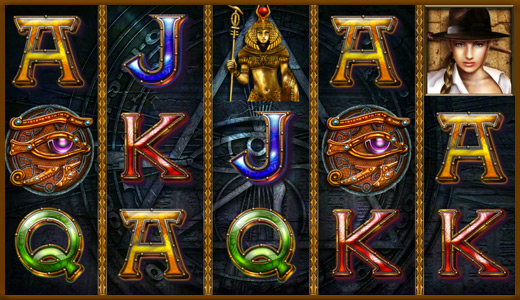 Golden Ark is played on 5 reels with 10 win lines that will bring you luck. Your aim is to land 5 matching symbols along a win line. All winning patterns start on the first reel on the left and run along the win lines to the right. You will only land a winning combination if your matching symbols are not interrupted by other symbols. 3 or more Scatter symbols in any position win 10 Free Games, which will automatically use your settings (bet and number of win lines) of your last round. A bonus symbol is randomly chosen when you enter your first Free Spin. The bonus symbol may fall on to any position during the free spins - if it falls 2, 3, 4 or 5x the symbol value will be multiplied with the number of win lines.